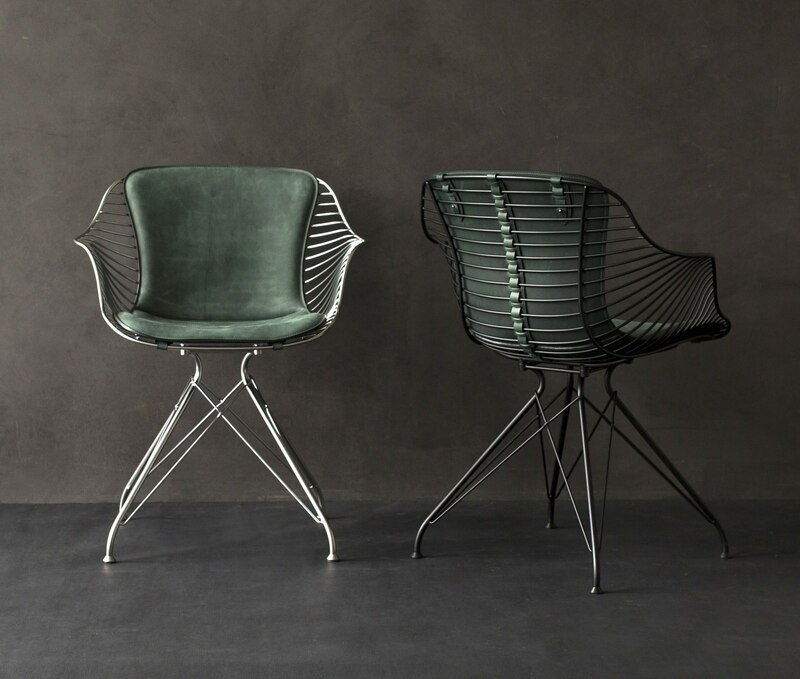 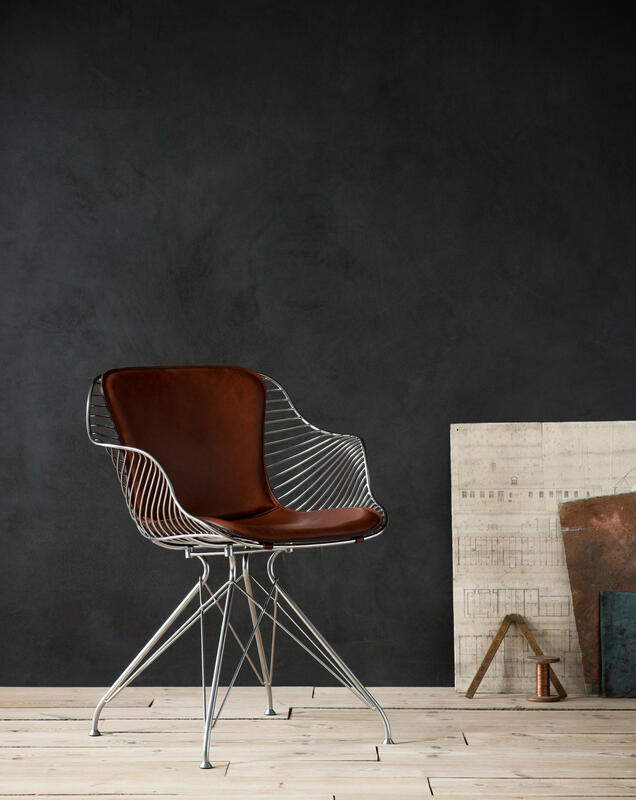 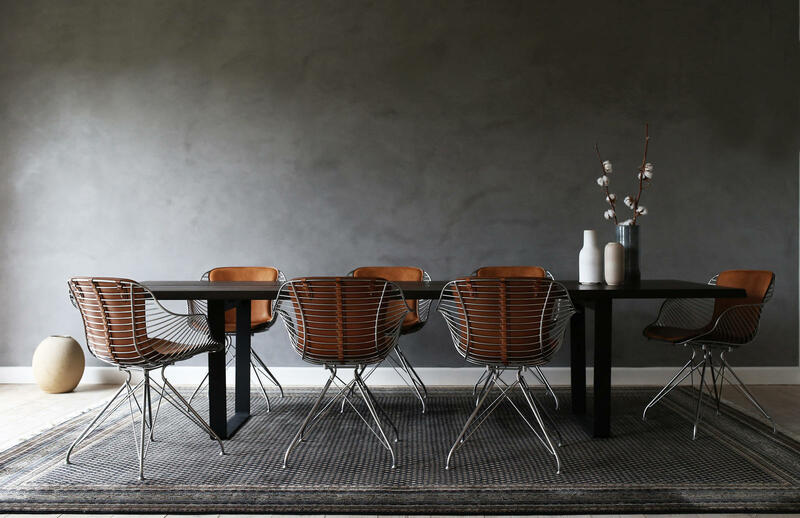 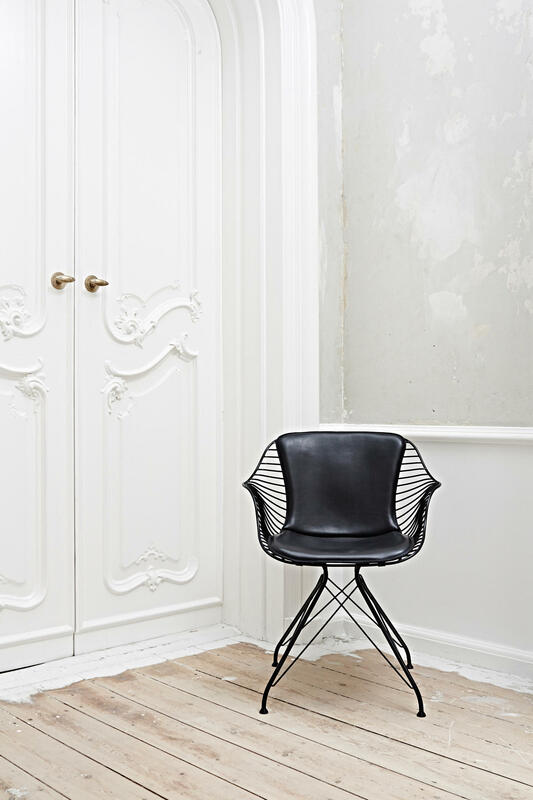 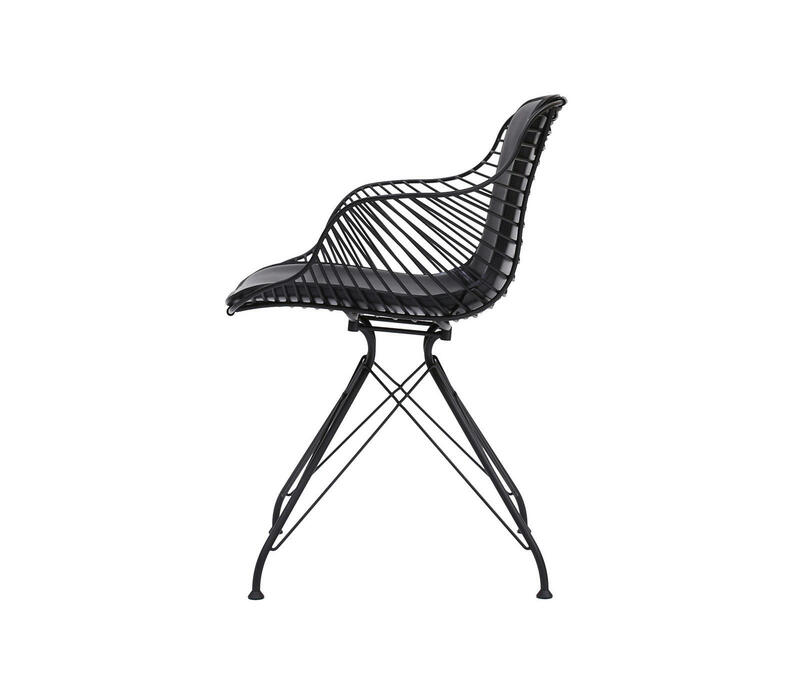 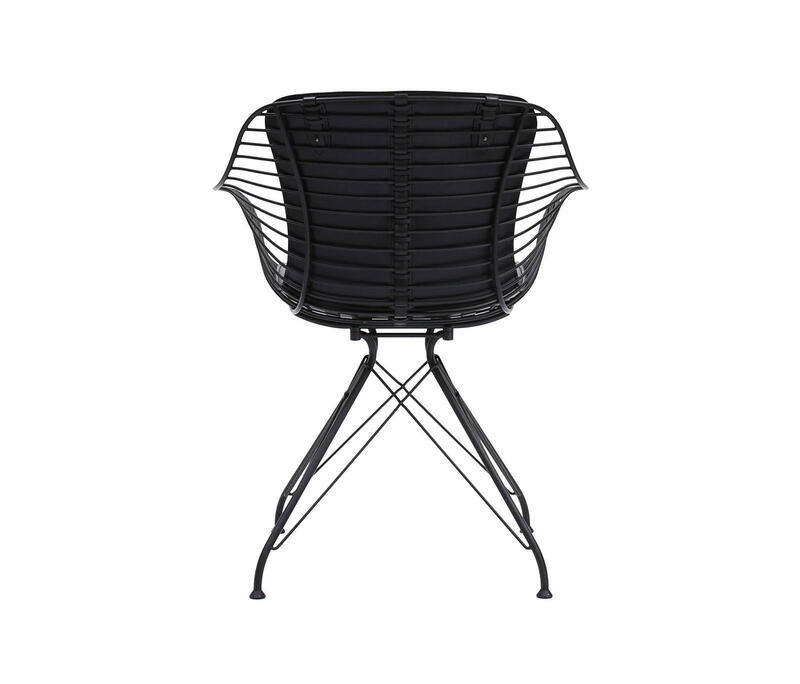 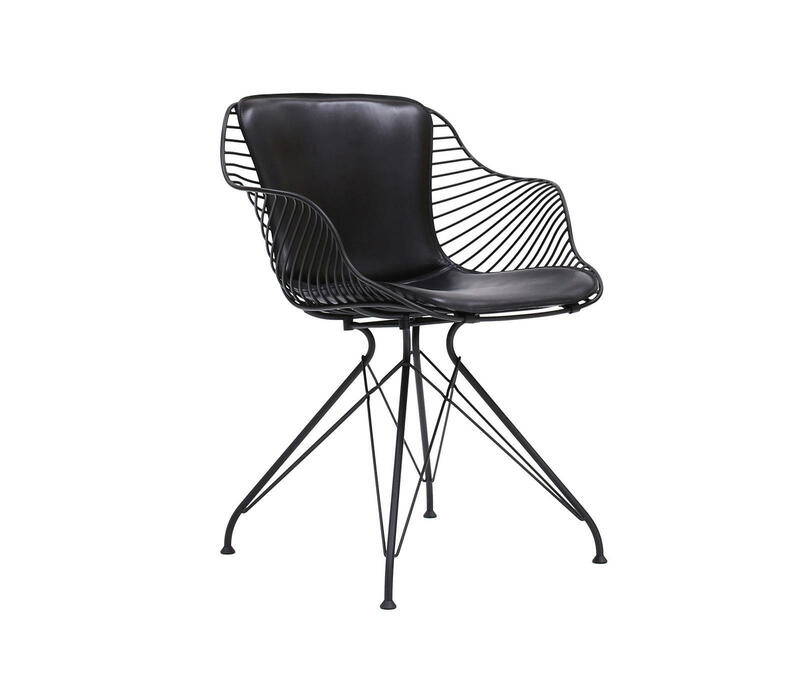 HomeBlogHome DecorWire Dining Chair by Overgaard & Dyrman. 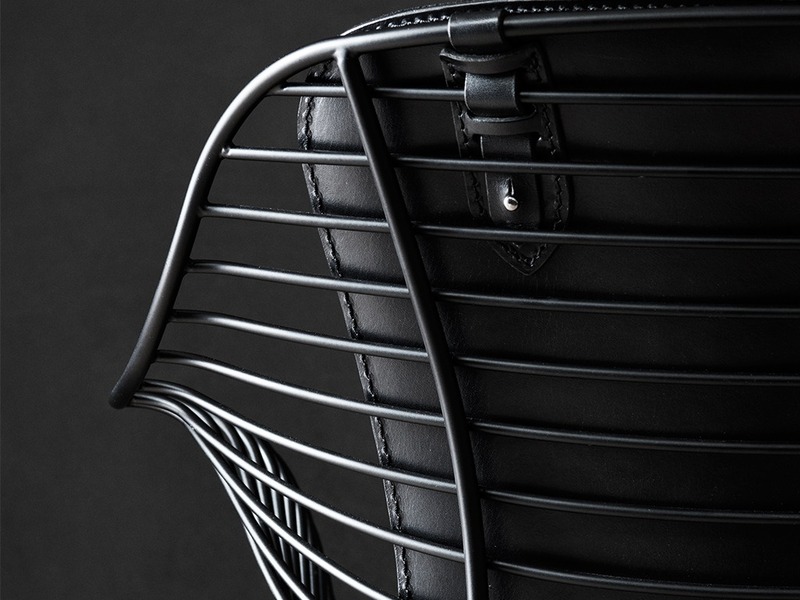 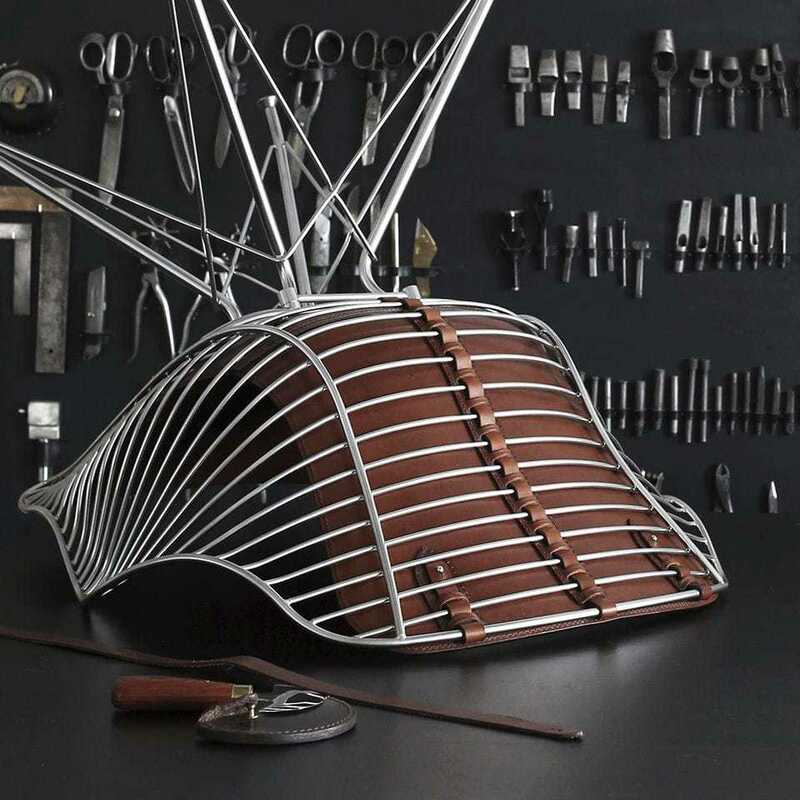 The Wire Collection finds inspiration in old-fashioned saddlery and traditional metal craftsmanship. 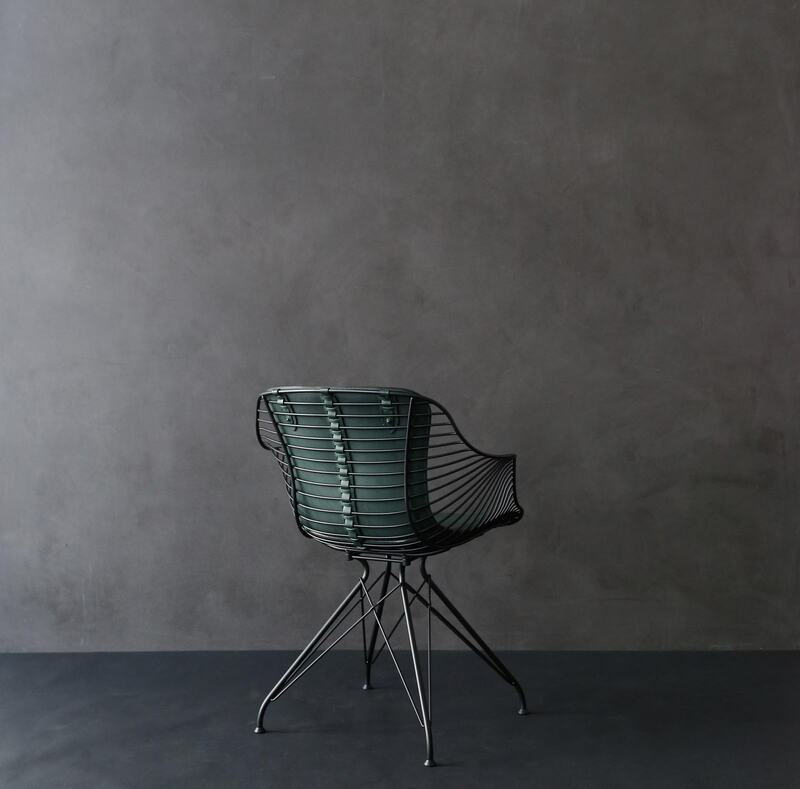 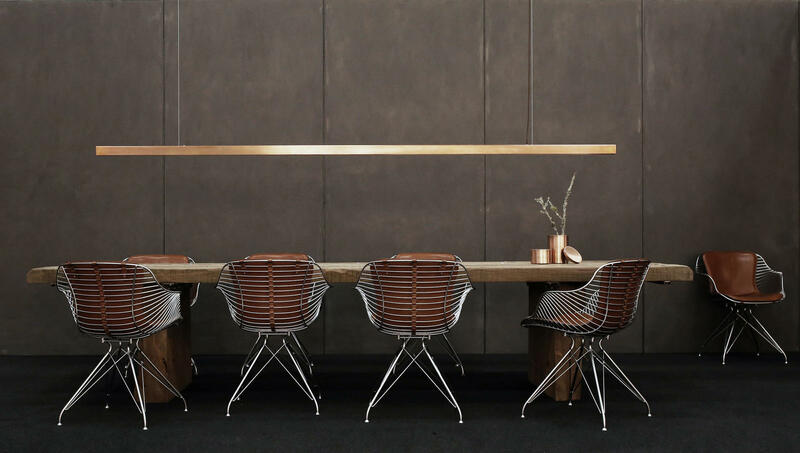 The honesty in genuine materials and the balance between functionality, ergonomics and manufacturing define the Wire Dining Chair and reflect its purpose. 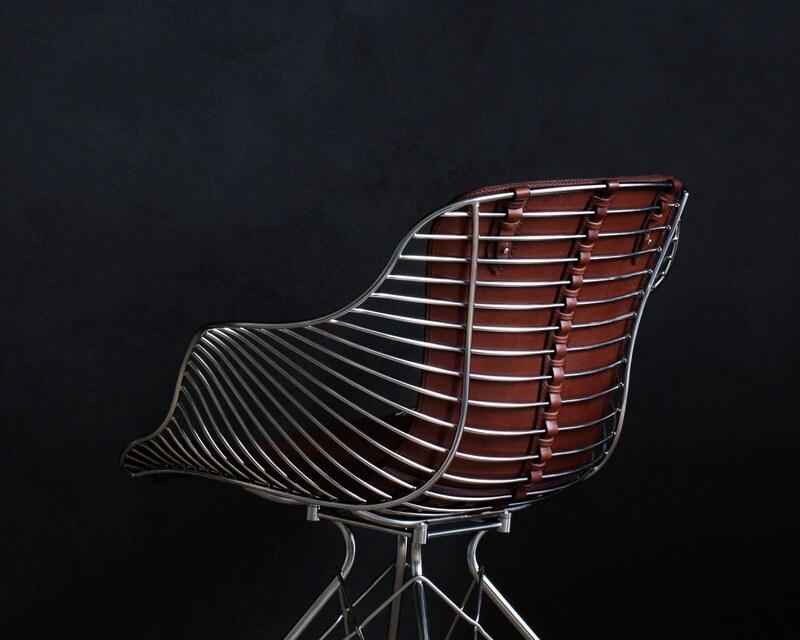 That is to endure the test of time in terms of tangible quality and of intangible aesthetic resilience. 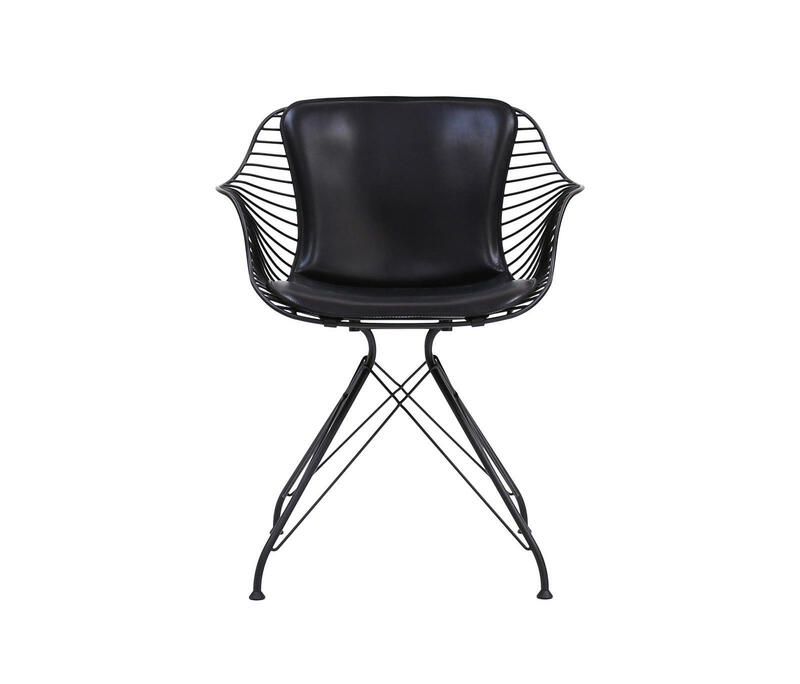 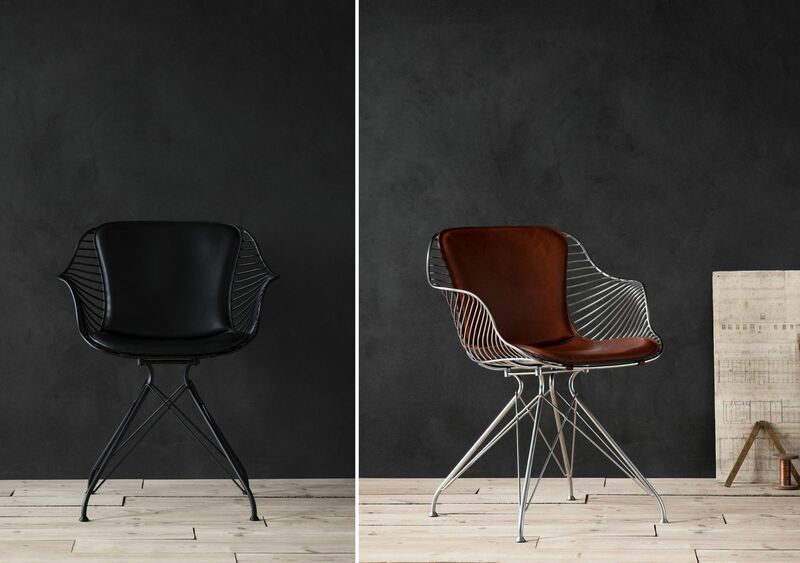 It is made in a black coated steel frame or in a semi satin chrome plated steel frame, combined with beautiful 3,5mm full-grain leather upholstery. 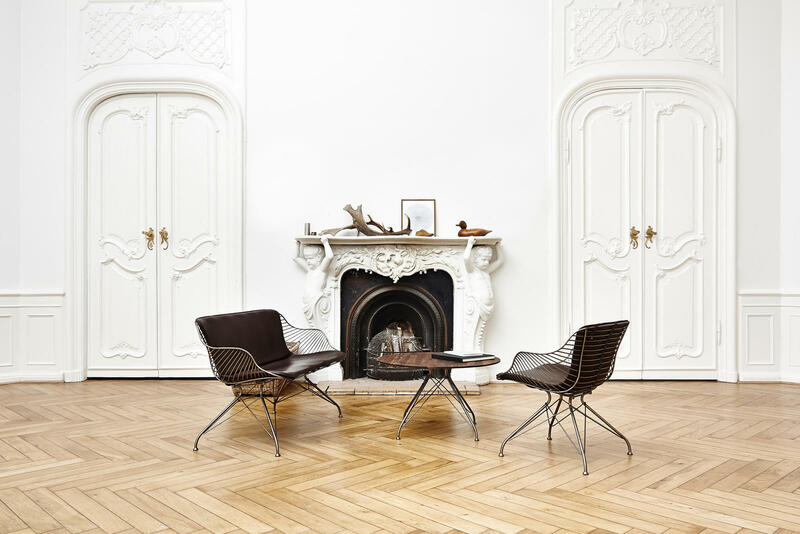 These two sturdy materials synergize perfectly, while at the same time creating a fine-looking and striking contrast. 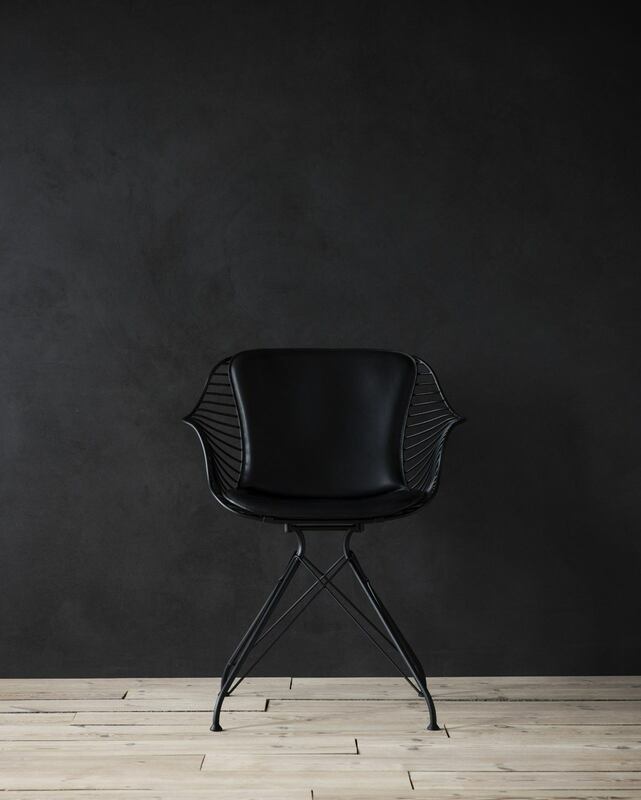 Jasper Overgaard and Christian Dyrman joined forces to create the Danish company Overgaard & Dyrman a few years back, their motto is “Our quality lives in every detail” a core brand value clearly entrenched in their debut furniture collection. 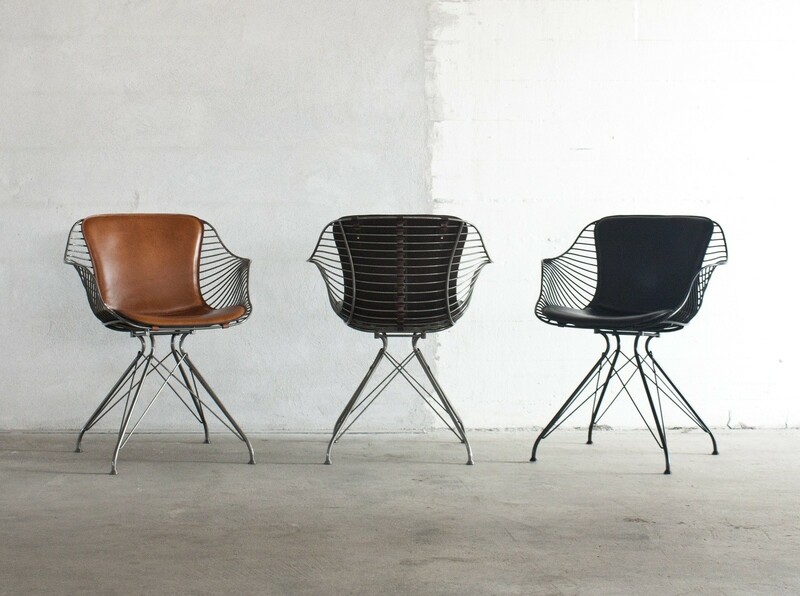 The Wire Collection consist of four classic pieces: Dining Chair, Lounge Chair, Love Chair (a loveseat), and a Coffee Table. 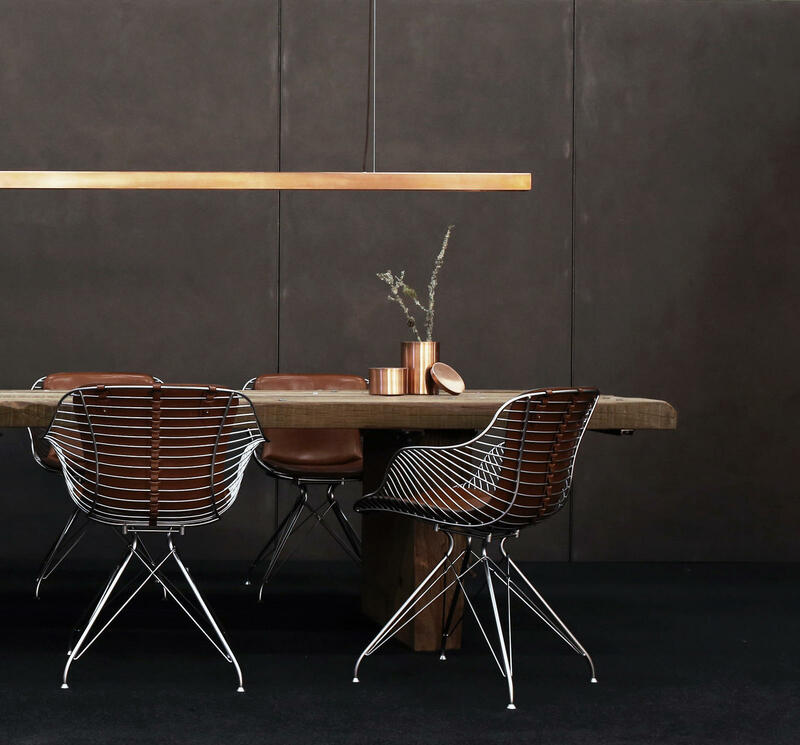 With a strong passion for traditional craftsmanship and refined details, Overgaard & Dyrman is a contemporary furniture maker with a twist, it is a company that loves merging traditional craft techniques with modern technology. 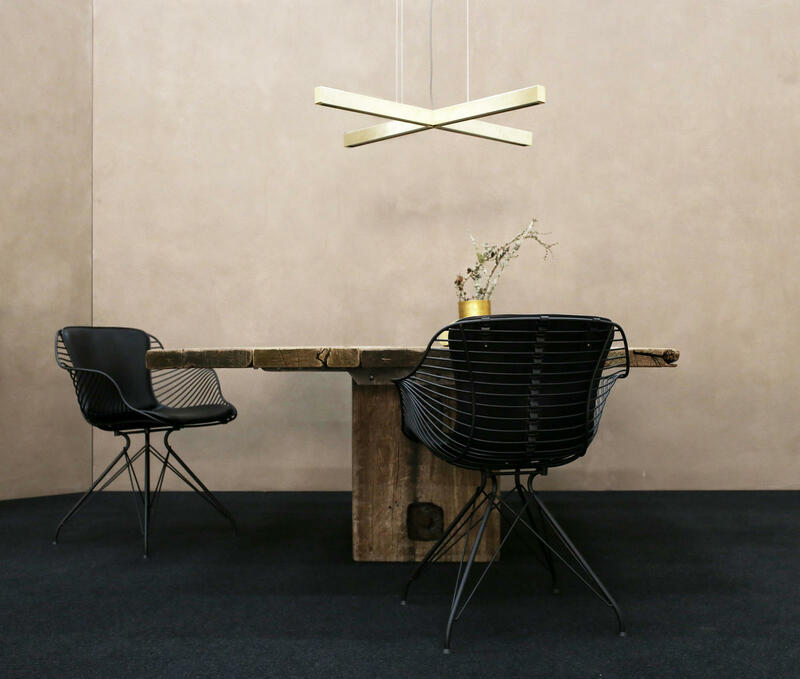 Overgaard & Dyrman’s approach to design bridges the past with the present. 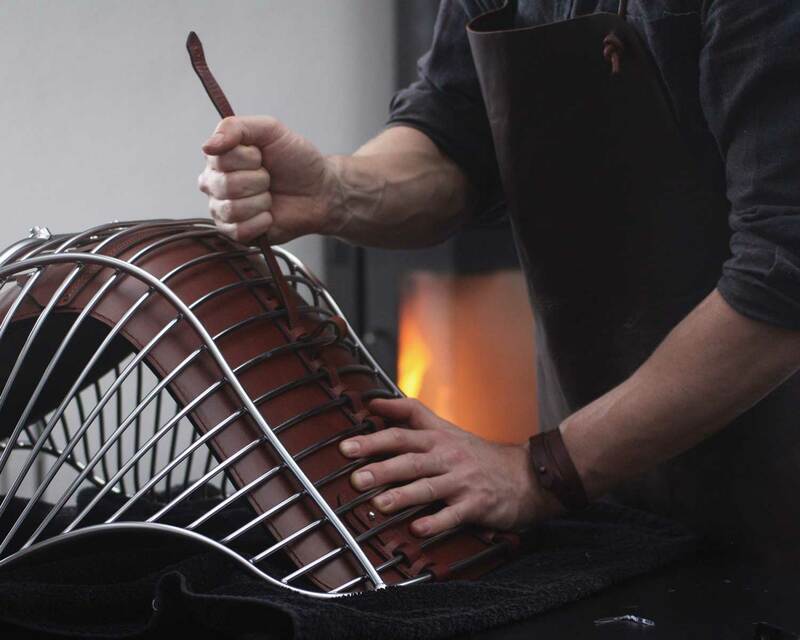 Each piece they produce is made strictly in their workshop just outside of Copenhagen incorporating a blend of traditional artisanship with modern technology. 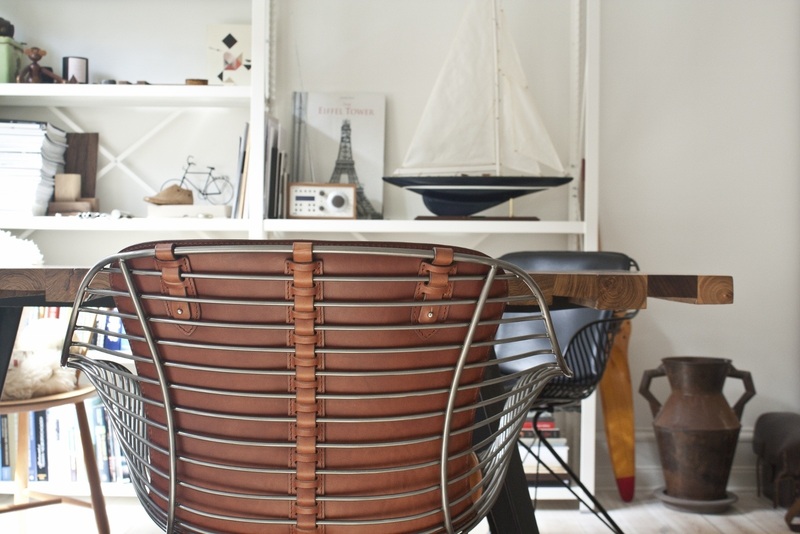 Their furniture while made using modern machinery have a beautiful handmade finish.